has its health benefits. 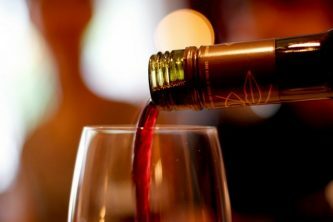 In this article, let’s find out the top 3 health benefits of drinking wine. such as cancer. It has antioxidants that attack free radicals as soon as they come around. If you want to get more antioxidants, choose white wine. 2. It reduces the risk of cancer. that cause cancer to develop. wine – particularly red wine – can reduce the risk of developing colon cancer by 50%. – healthy amounts of red wine. How does red wine promote life longevity anyway? and thus promotes longer lifespan. science, it can give you heaps of health benefits. Visited your winery just after Christmas this year. Bought 3 bottles of the best wine I’ve ever had. Do you ship? From PA..will definitely be back. Thanks so much for your positive feedback. Glad to hear that you enjoyed your visit with us! We absolutely ship, here is the link to our ordering page if you are interested. Thanks again!